Staff was really helpful, if you need something just had to ask. Friendly and helpful host and family. Clean, spacious room with a nice balkony. Near the beach and restaurants. Friendly people, good value. They kindly did washing for a very modest charge. The family mood at the hotel was enjoyable. The commitment of the owners to make sure the guests feel good is to be appreciated. The restaurant of the hotel is very good and quite affordable. 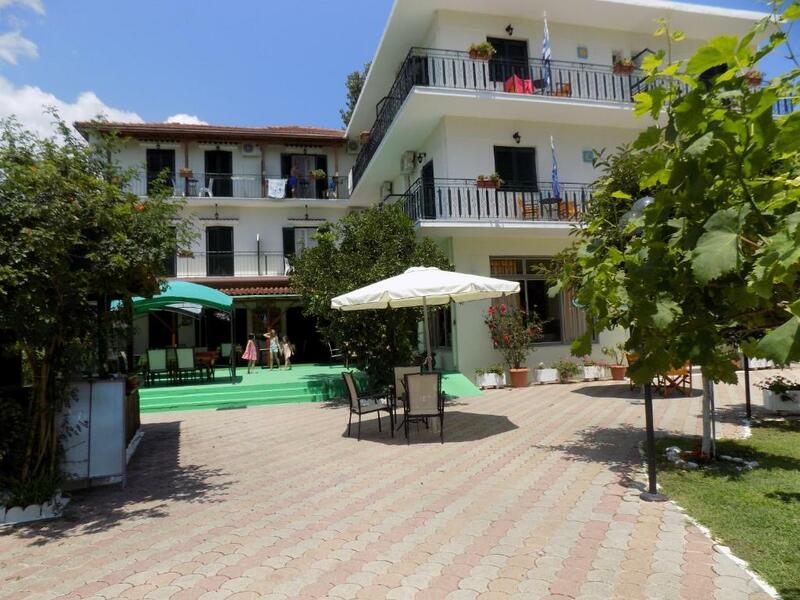 Close to the beach and just about everything in Platanias. Friendly Owners. The owner has been extremely friendly and willing to be helpful to any needs/requests we have (help us with a sun umbrella, cooked some special sea food on our request - DELICIOUS!, help us getting some local products - olives, olive oil, etc.) but most important they made us feel as part of their family! Aaa, not to forget un UNBELIVABLE GYROS they made on the hotel's grill !!! It is a must and the best gyros i had ever! The stay at Des Roses hotel was very good. Dovas family fulfilled all our requirements and was very attentive. We took as well one of their program visiting an archaeological site, 2 very nice beaches and 2 sea caves. Lock in a great price for Des Roses Hotel – rated 8.6 by recent guests! Des Roses Hotel This rating is a reflection of how the property compares to the industry standard when it comes to price, facilities and services available. It's based on a self-evaluation by the property. Use this rating to help choose your stay! Only 350 feet from the sea, in the lovely fishing village of Platanias, Des Roses offers well-equipped rooms and traditional homemade breakfast. The hotel is built within a beautiful flower garden. WiFi is offered in public areas. Des Roses air-conditioned rooms are bright and spacious and they include a kitchen, a private bathroom and big balconies. They are equipped with TV, refrigerator and ceiling fans. 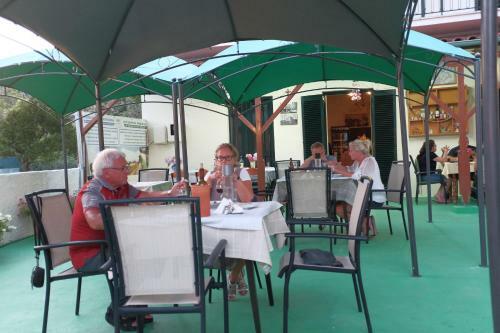 Hotel Des Roses serves homemade breakfast with marmalades, omelets and local pies. Alexandria restaurant prepares Mediterranean dishes based in old regional recipes. In the garden, guests can find BBQ facilities, along with a seating area. Des Roses hotel also features a recreational area where children can play electronic games. The area is ideal for trekking. Soap making workshops are organized by the owners. 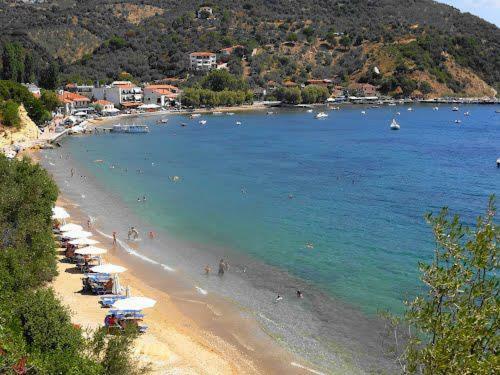 Hotel guests can have easy access to the island of Skiathos and the beautiful Pelion beaches by sea-taxis. Free parking is available at a nearby location. When would you like to stay at Des Roses Hotel? Bright and spacious, this air-conditioned studio includes a kitchenette, a private bathroom and spacious balcony. It is equipped with a TV, refrigerator and ceiling fan. This more spacious, air-conditioned studio includes a kitchenette, a private bathroom and spacious balcony. It is equipped with a TV, refrigerator and ceiling fan. This more spacious apartment consists of two separate rooms. House Rules Des Roses Hotel takes special requests – add in the next step! Des Roses Hotel accepts these cards and reserves the right to temporarily hold an amount prior to arrival. The room could be nicer and more functionally furnished then it would be perfect. Off-season the place was quiet. Breakfast was not rich but it was okay. The breakfast, included in the room price, was average only. Some diversity could make it much better! A little noisy over night, lot of mosquitoes. There is a barbecue in front of the hotel, and the smell comes up to your room. Probably if we used the air conditioning it would be better. Hotel a little dated. Breakfast a bit dull and boring.